Mahalakshmi Municipality is a newly formed municipality in Nepal’s Kathmandu valley. Comprising 2365 households and surrounded by 10 relief camps that were set up during the 2015 Nepal earthquake, the municipality has achieved 100% ODF (open defecation free) with every household having on-site sanitation facilities, which generate about 3.85 m3 of sludge per day. However, the municipality has no system for desludging residents’ pit latrines on a timely basis and safely disposing of the sludge. The faecal sludge is being dumped into the Bagmathi river or farm lands in peri-urban areas. 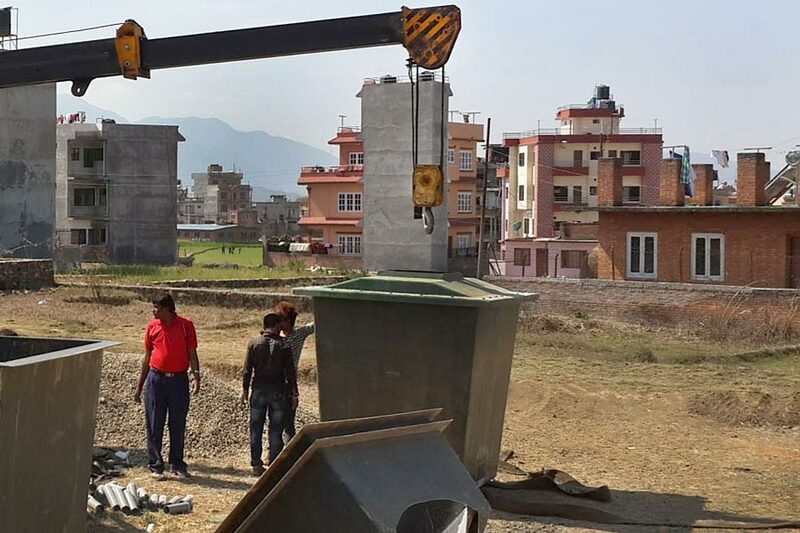 With support from BORDA, ENPHO, Saligram Bal Griha and CDD Society, Mahalaxmi Municipality has implemented a pilot faecal sludge treatment plant (FSTP) at Lubhu, Lalitpur. 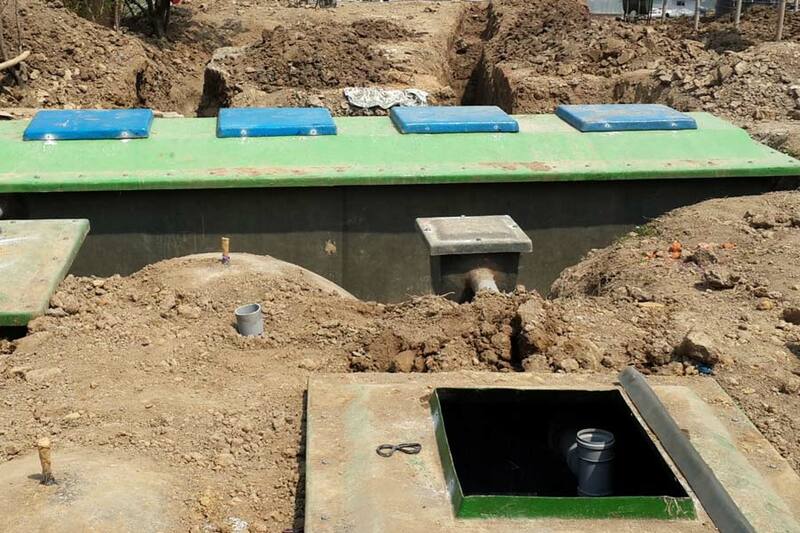 This FSTP is the first of its kind in Nepal, exemplifying an integrated approach to faecal sludge treatment and explicitly designed to produce reusable end products. The treatment process provides resource recovery options: treated wastewater for reuse in irrigation, biosolids as soil conditioner for farming, and biogas for cooking and lighting in the treatment plant caretaker’s home. The FSTP site is sited on around 300 m2 of land owned by a local community-run orphanage. They use the land for agricultural purposes, the proceeds of which go towards financially sustaining the orphanage.